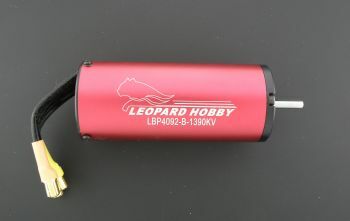 40mm Diameter by 92mm Long Brushless Motor by Leopard Power. Hand wound for high efficiency of up to 90%. 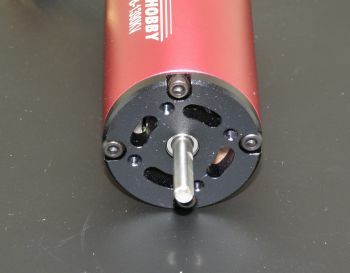 Comes with high quality bearings and neodymium magnets for high power. Includes endbells that are assembled with screws for both strength and ease of maintenance. Watts: 2600 with Over 4200 Burst. If you are using the OSE-80600 or 80610 mounts, we suggest the leo-4050 water jacket. For mounts with no rear clamp, you can use the longer leo-4076 Water jacket.